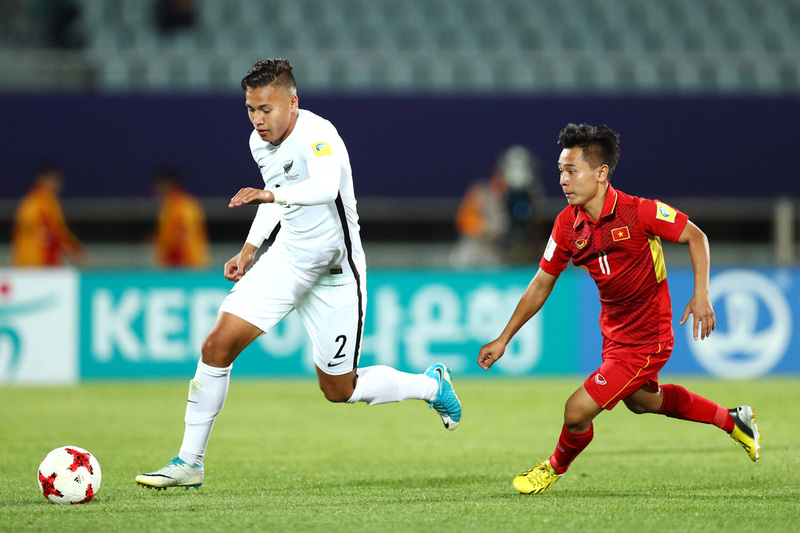 Making his All Whites debut in March then representing New Zealand at the FIFA U-20 World Cup Korea Republic 2017 and the FIFA Confederations Cup Russia 2017, 18-year-old defender Dane Ingham has topped off an incredible 2017 by re-signing with A-League club Brisbane Roar. Ingham made his is senior debut for the Brisbane club in January during their Asian Champions League campaign and became Roar’s second-youngest ever scorer when he found the net in their 2-2 draw against Perth Glory. After three successful years with Brisbane, there was no question in Ingham’s return. “I’ve been at the Roar since I was 15 years old and I’m proud to extend my contract,” he said. After Ingham’s hard work and international exposure over the past few months, Brisbane manager John Aloisi was very pleased to see the young defender return to the orange jersey. “Firstly, congratulations to Dane on his achievements with the All Whites over the past few months and representing Brisbane with distinction,” he said. “It’s great news that a talented young player like Dane has committed his future to our club. Born and raised in Australia with a Samoan/New Zealand mother and Australian father, Ingham and his older brother Jai – who also made his All Whites debut in March – were eligible to represent three nations, but made the decision to represent New Zealand at the start of this year and hasn’t looked back since.